A child in school has a future. Or, why 9 out of 10 children from low-income homes drop out of school. 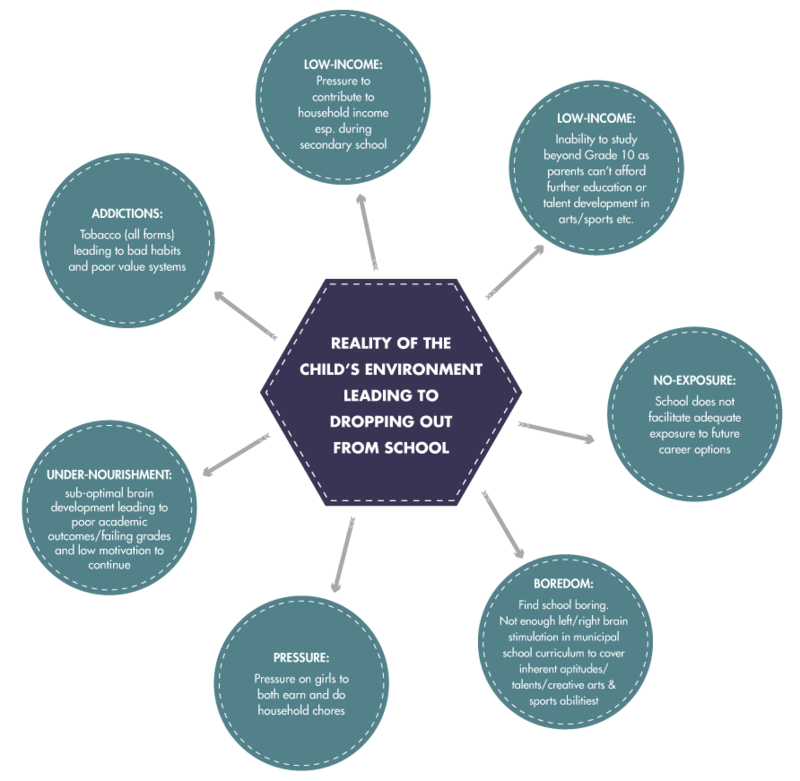 Pressure to contribute to the household income especially during secondary school. Burden on girls to both earn and help with household chores. Addiction to any form of tobacco, which induces other bad habits and poor value systems. Sub-optimal brain development due to under-nourishment that leads to poor academic outcomes and low motivation to continue school. Intervening at the right time makes all the difference. We work with children during their formative years, grades 7–9. This is when they’re most impressionable and also most at risk from quitting school. We believe staying in school gives them the best chance to thrive in the future. 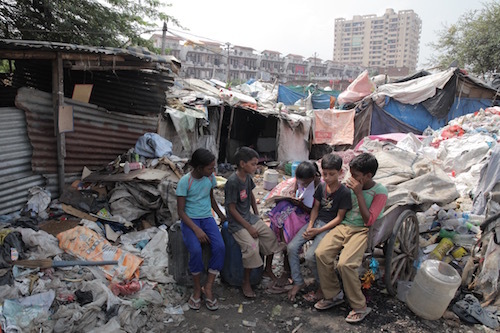 Salaam Bombay Foundation’s programmes are uniquely created to address the challenging environments which low-income children face. 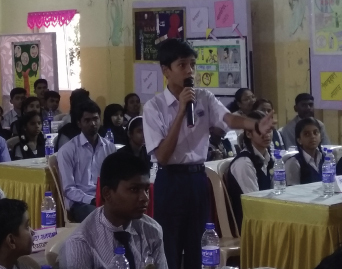 This inspires them to continue their schooling and gives them the opportunity to ﬂourish. 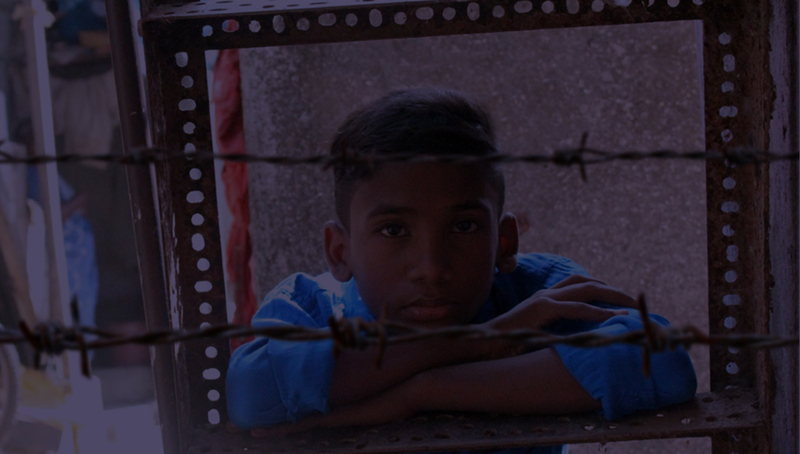 Salaam Bombay is, perhaps, the largest NGO in India to work with vulnerable children between the ages of 11 and 17 who are most likely to drop out. 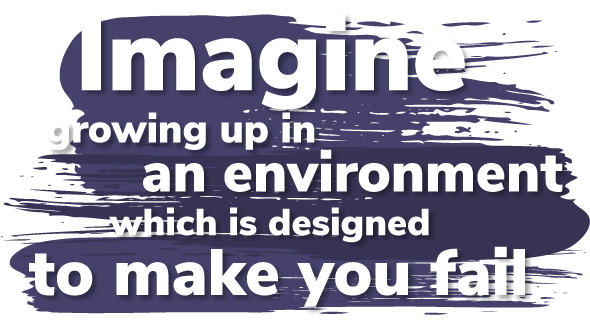 Understanding the reality of a child’s environment. 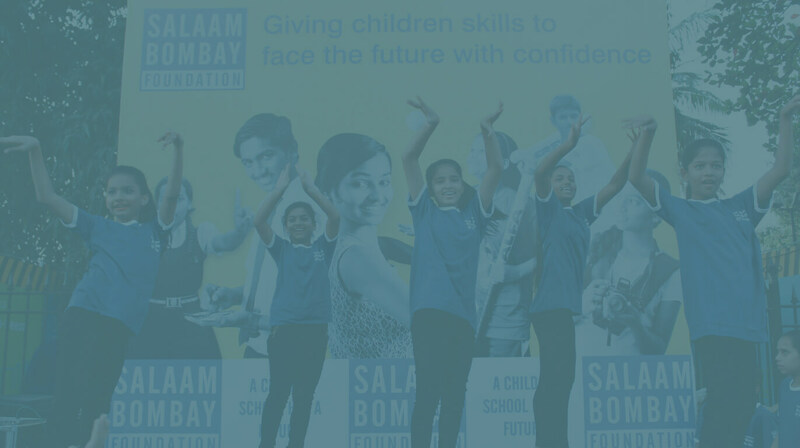 Salaam Bombay Foundation intervenes on all the triggers which cause at-risk, neglected pre-teen / adolescent children to drop out of school, so they’re not denied the chance to have a bright future. 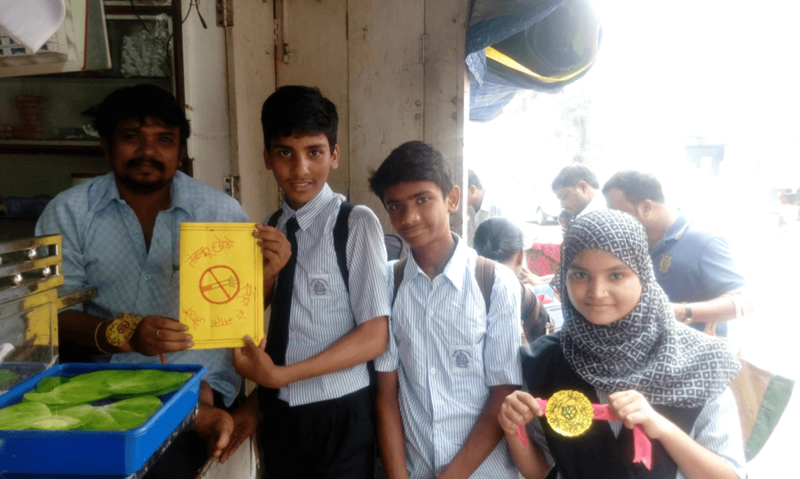 Helping children lead tobacco-free lives and steer away from vices and addictions, tobacco being the most common. 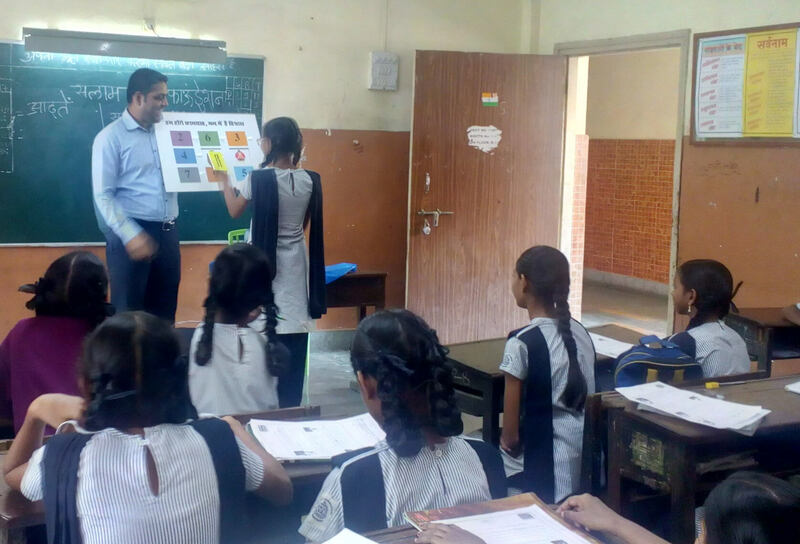 Turning them into socially-responsible individuals, as agents of change. 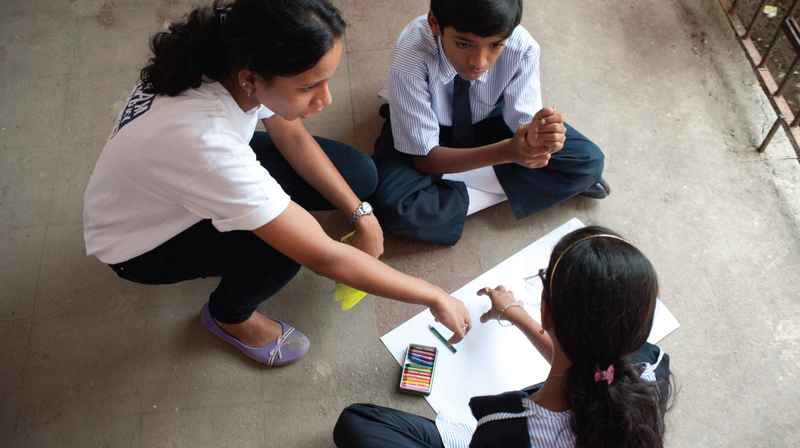 Teaching children skills to apprentice and earn, while in school. Preparing them for future sustainable careers. 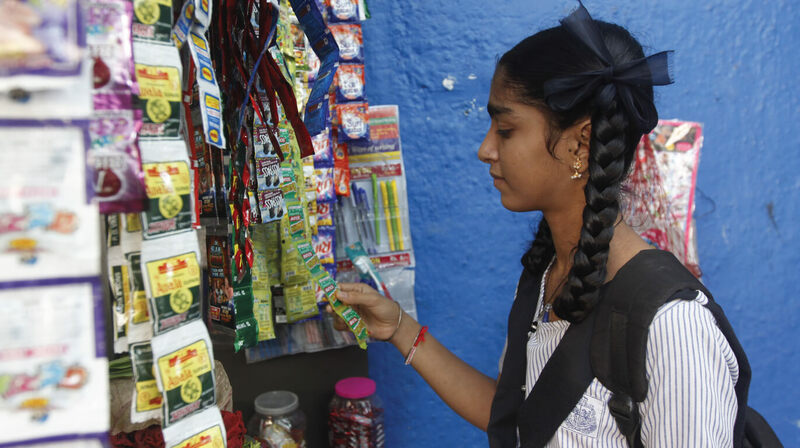 Every 16 seconds a child in India tries tobacco for the first time. 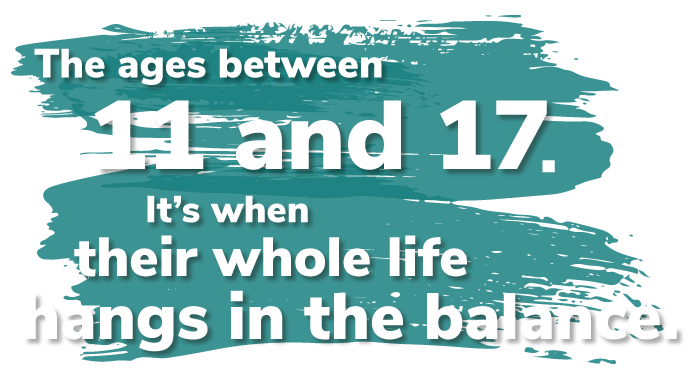 Educates children about the harmful effects of tobacco, and its long-term impact on their lives. Provides guidance, boosts self-esteem and confidence, and helps them lead change. 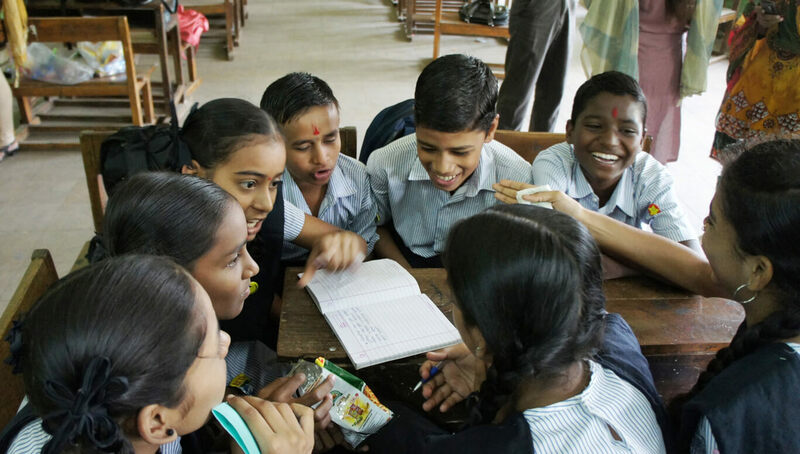 Allows them to explore their full potential by working with lawmakers, media and communities to advocate effective tobacco-control policies leading to the establishment of Bal Panchayats and the Bal Parishad. 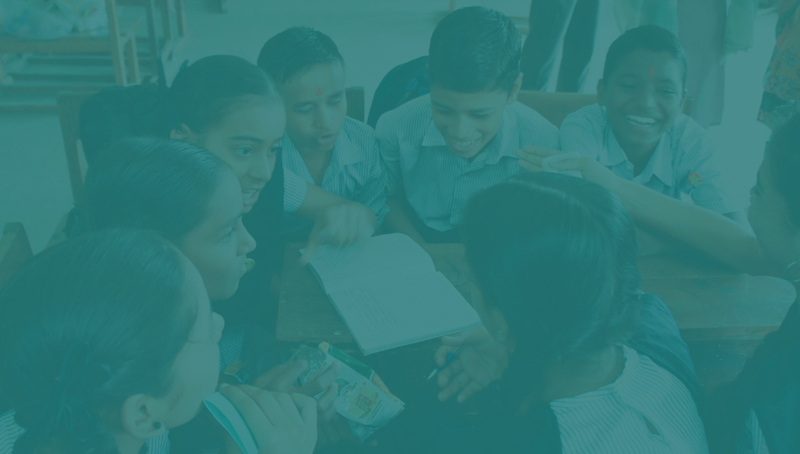 Between an education system that imparts knowledge but doesn’t help secure a job, and a skilling environment that guarantees jobs but not long-term careers, the Indian youth find themselves in a vulnerable position. Project résumé supplements classrom education with vocational training to equip under priveledged children to earn part time without dropping out of school. This programme also increases their choices of securing a sustainable job after graduation. 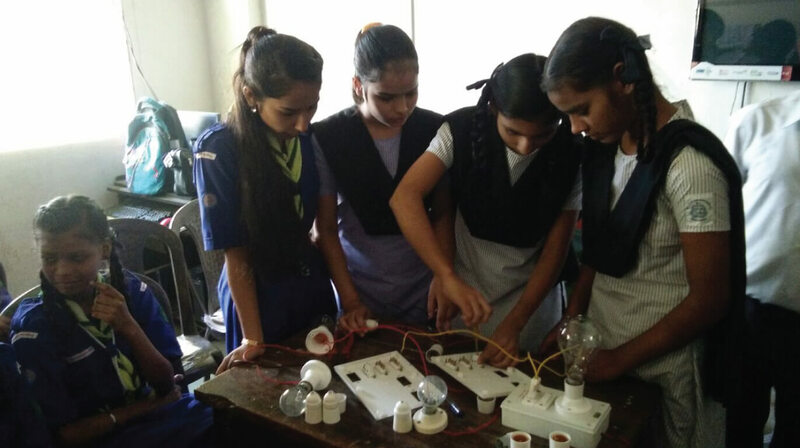 Integrates education with skill development while still in school. 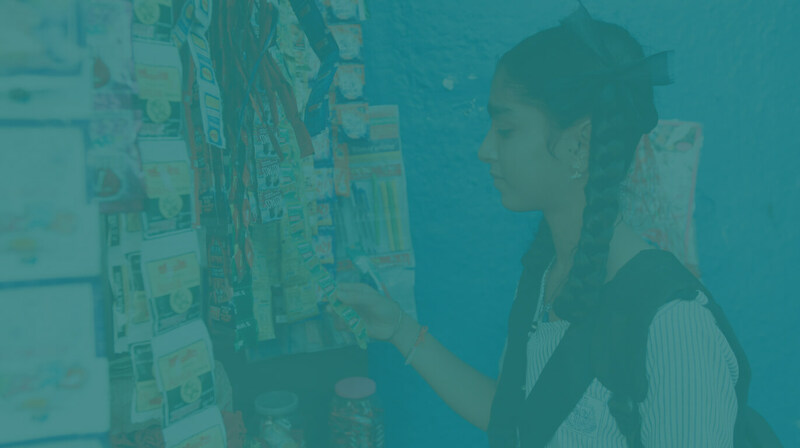 Gives them the means to earn part-time and contribute to their family income without dropping out of school. Increases apprenticeship opportunities thereby creating sustainable future careers. 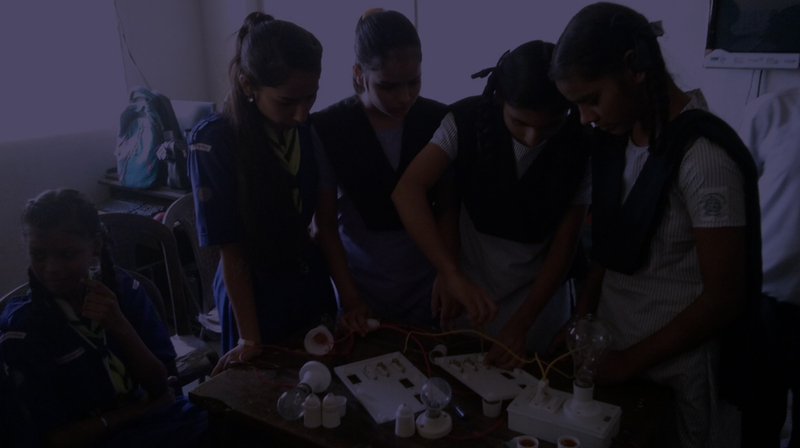 Equips them with 21st century employment skills and life skills for an empowered future. Helps adolescents at a vulnerable age broaden their horizons. 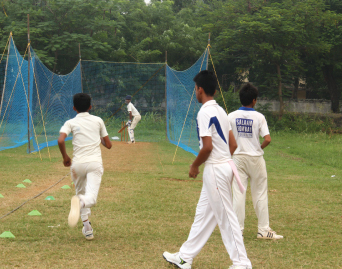 Engages them through our art, sports and media academies as well as vocational skills. Volunteer . Support . Partner . Donate. 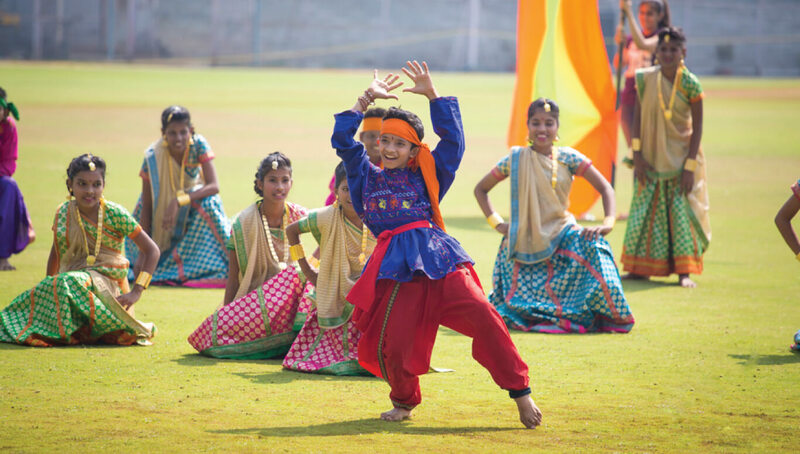 At Salaam Bombay, we have changed the lives of over 5 lakh children. 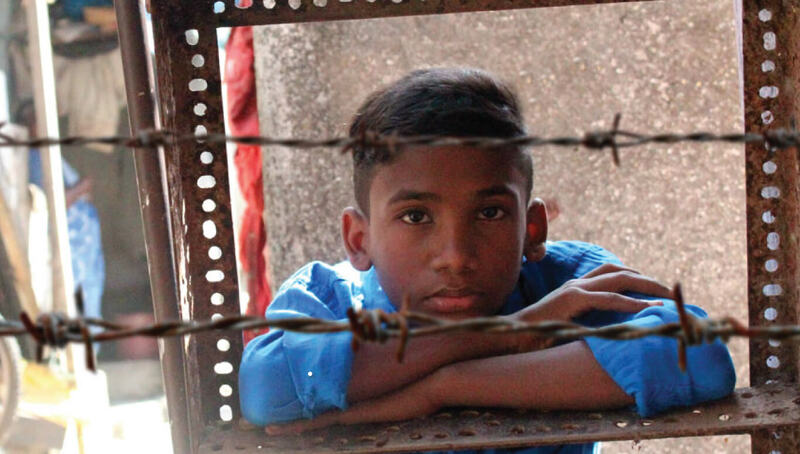 But there are others across India who still need your help. You can show your support by donating to Salaam Bombay Foundation. 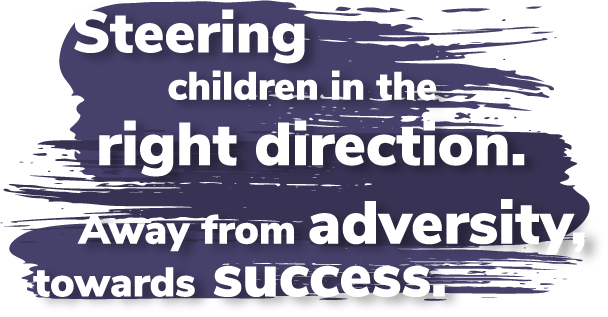 You can also help by mentoring our children or by giving them the opportunity to apprentice with your company.